“A rare disease may be defined as one that affects fewer than 200,000 Americans,” said Catherine Ward-Melver, MD, a clinical geneticist at Akron Children’s Hospital. Dr. Ward-Melver said “Rare Disease Day” offers a perfect opportunity to bring recognition to rare diseases and hope and direction for those dealing with rare diseases. According to the National Institutes of Health, there are nearly 7,000 such diseases affecting nearly 30 million people worldwide. Some rare diseases are present at birth but others appear much later in life. More than half of people known to be affected by rare diseases are children. 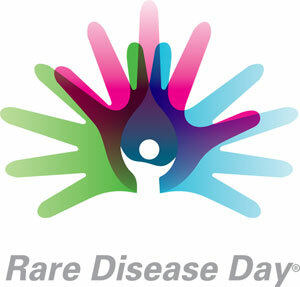 Rare diseases can affect the heart, blood, lungs, kidneys, skin, or any other body systems. Some examples seen in Akron Children’s Genetic Center are neurological and neuromuscular diseases, metabolic diseases, chromosomal disorders and congenital anomalies. Some are named for the physician who first identified them. They have also been named for patients or even hospitals where they were identified or based on descriptive features of the disorder. Lists of rare disease can be found on the websites for the National Organization for Rare Disorders (NORD) and the National Institutes of Health Office of Rare Diseases Research. Dr. Ward-Melver and her colleagues in Akron Children’s Genetic Center often play the role of medical detective – helping patients and parents find answers to explain a set of symptoms or a child’s developmental delays. Connecting with a center can be helpful in making sure you have the most up-to-date information about the disease and the treatment protocols available. The geneticists, genetic counselors and social workers can lend support, whether it is helping to provide the documentation to secure services for children in the schools, or connecting families to support groups. “Sometimes we can point patients to other concerns associated with that condition so they can seek additional tests or consult with specialists and know what to watch for in the future,” said Dr. Ward-Melver. For more information, contact Akron Children’s Genetic Center at 330-543-8792.